One of the greatest pleasures of life is the warm swell of pride at watching your helpless babies grow first into children — with their own personalities, interests, and aptitudes — and then mature into adults who achieve feats we as the older generation could only dream of. We realize that the youngsters really did learn from those mistakes they made in their youth, that they were actually listening to our sage advice (even though they never admitted it at the time), and quietly ignored our advice when they had moved beyond us. Doesn’t always work out so well, of course, but it has for me with the characters of the Human Legion. In the first TO&E I wrote out for Blue Squad in Marine Cadet, the cadets were 17 years old. Today I’m writing the order of battle for the Legion invasion of the White Knight homeworld, and it brought home to me how my characters have grown beyond the imagination of their instructors. Xin Lee isn’t a cadet any more; she’s now the commander of Army Group Sky Strike. Key to the coming battle are the mobile infantry divisions of the four infantry corps in her army group, because they contain the aerial artillery regiments that, in combination with the scour squadrons of her army group’s air wings, will play a critical part in what will follow. But whether the aerial artillery and scour squadrons will be a blessing or a curse is in doubt. These weapons are deadly enough to burn the world to a cinder, and that’s even without going nuclear. There are many in the Legion who urge the Legion high command to let the White Knights burn. Arun McEwan is convinced that destroying this world will be a terrible mistake, but he’s in no position to argue his case, for reasons that will come clear when you read Book 5. Of course, a good military SF series needs more than hardware, battle plans, and a list of corps commanders; it needs characters who strive and conflict with each other, and sometimes fail, but when they do they get up and try again, wiser. And that’s what I feel that we’ve developed in the Human Legion books up to this point, now that I’m writing an order of battle that covers millions of combatants. The scale has upped enormously from the two squads of cadets and a smattering of veterans who took on the Antilles Insurrection in Marine Cadet. The characters are ready for this now. Oh, they have plenty of difficult choices and obstacles to overcome, but for those who developed into field commanders, running such a large scale operation is no longer one of them. Totally agree!!! Sadly, my flux capacitor is broken so I’m stuck waiting in line like everyone else! Hi Daniel, sorry to keep you waiting. I’ve got a copy editor booked in to do the final tidying in mid-Feb, so realistically we’re talking end of the month or maybe first week in March. 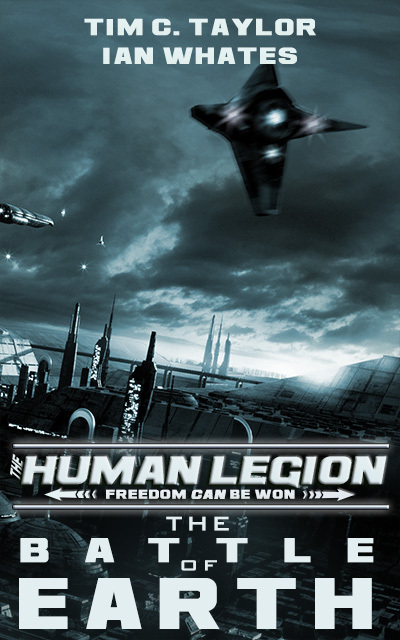 Have you subscribed to humanlegion.com? There should be a button at the top of the site that means you get all the posts on the blog sent to you by email. Although, if you’re like me, you get so many emails every day, it can be difficult to spot the one you’re waiting for. Tim. thank you Tim , I saw that after I posted , and have subscribed.